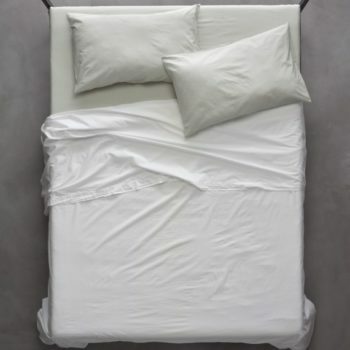 Society Limonta believes that choosing bed sheets is just like choosing a dress for your bed. 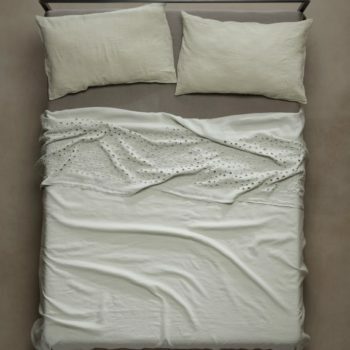 That’s why it gives you infinite opportunities. 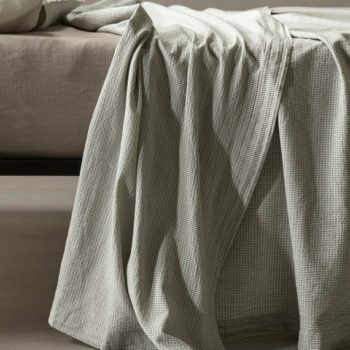 From the colour variations for the best loved bed sheets, to the new textile innovations result of their extreme technical skills and endless explorations. 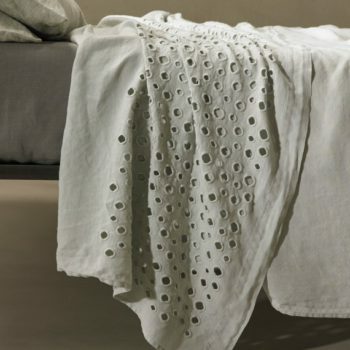 The most traditional fabrics, like linen and cotton, find a more contemporary version with Society Limonta’s bed sheets, without giving up tradition. 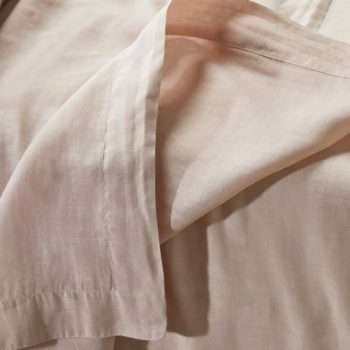 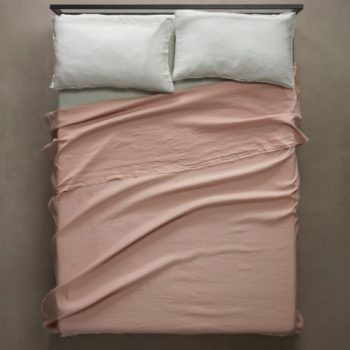 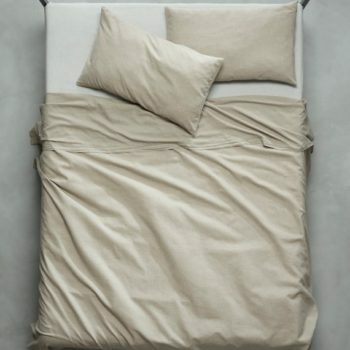 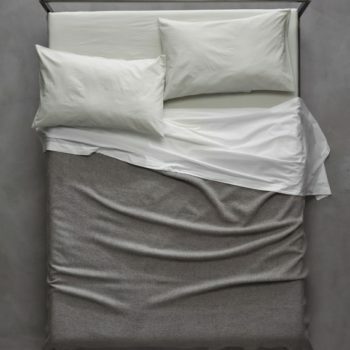 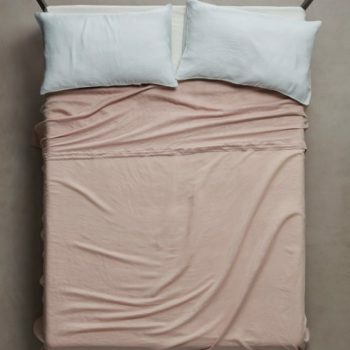 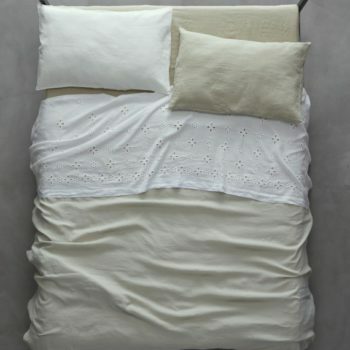 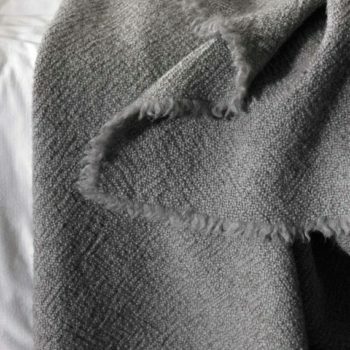 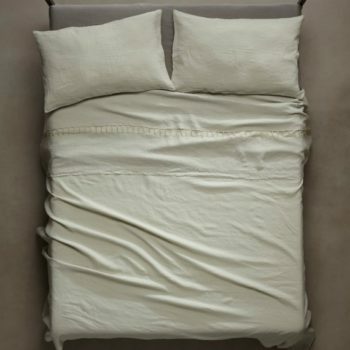 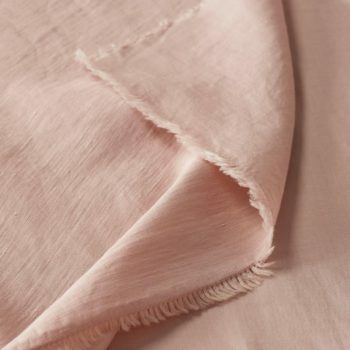 Like Rem, the froissé linen bed sheets, or Nite in extra-fine cotton. 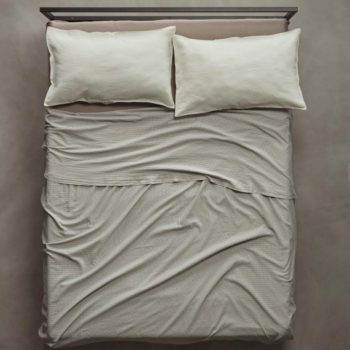 Two evergreen products of the bed linens collection. 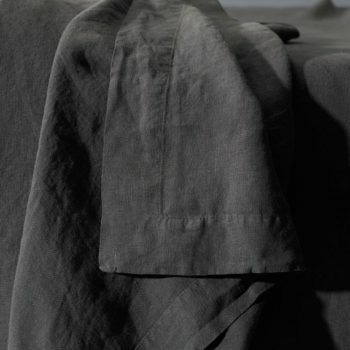 Society Limonta starts from basic materials, creating all its “variations on the theme”. 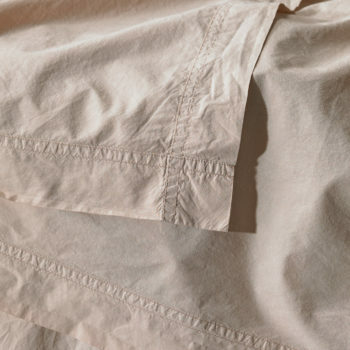 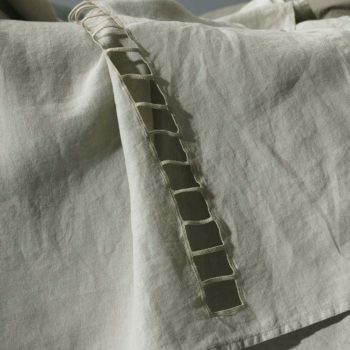 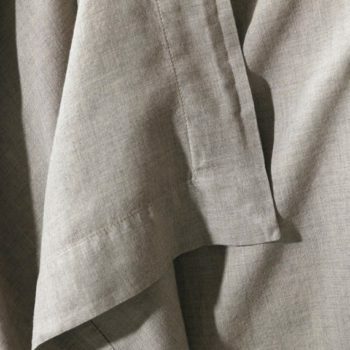 Like its creased linen, used on embroidered bed sheets with geometric patterns. 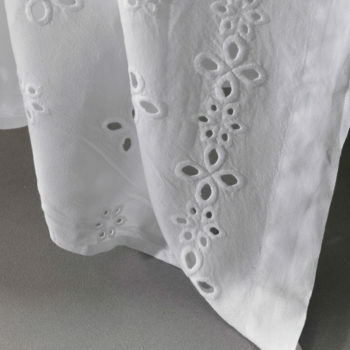 Or its macro Sangallo embroidery, revisited in a more contemporary version. 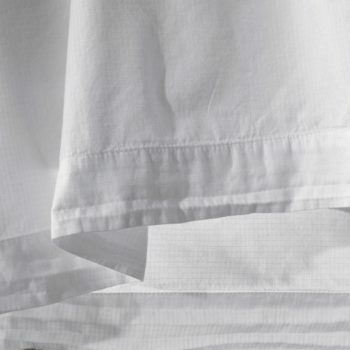 Cotton is instead weaved with two soft layers of voile, which are then joined together for a refined, extra soft, double-face bed sheet. 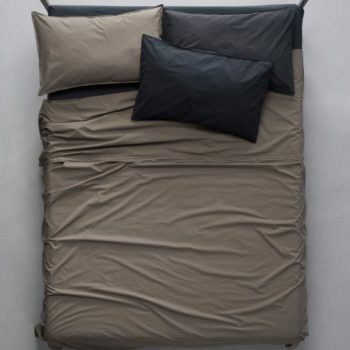 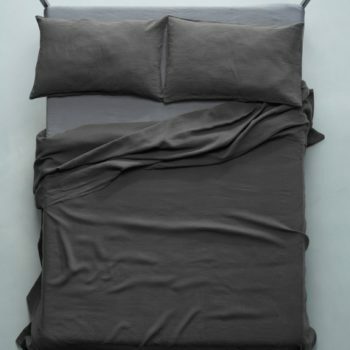 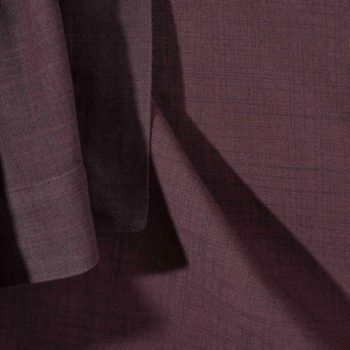 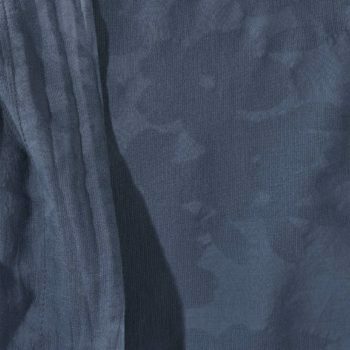 All bed sheets are garment dyed, a colouring process that confers unique colour shades, creating always one and only pieces. 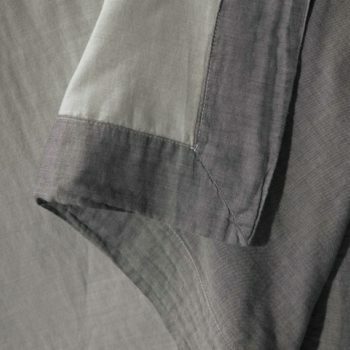 Society Limonta has disrupted the concept of “fixed sets”. 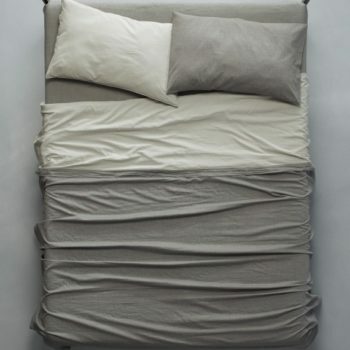 It allows to dress your bed according to your taste, combining different colours and fabrics, creating your unique style even at home.